Magento is one of the most widely used open source eCommerce platforms that was launched in March 31, 2008. Also it holds a huge market share in building powerful online businesses, easy to search tools and control options to suit every business need. It is well known that Magento is an object-oriented PHP framework and it helps to develop a modern web application. Due to the increasing number of its demand, the requirement for Magento developers has been huge. This ultimately turns opportunities for businesses to hire web developers for setting up online business website. And, to serve clients, developer need to sharpen their Magento skills which is what hugely required these days. If you are an aspiring candidate and needs to gain knowledge in Magento eCommerce development, following are some of the best resources to learn Magento. Magento guide provides an overview of Magento resource. This single guide proves helpful for the whole community that includes for both developers and merchants. The manual comes handy for merchants (site owners) who decides to improve the business and add product lines to the shop. Guides also saves enough time in knowing the platform for web developers. They have the most up to date release to follow reference materials available for build and manage Magento websites. You may learn Magento via online to learn how to use Magento from basic to advanced techniques. Both beginners and experienced professionals get benefitted from videos that explains the overview of courses and discussing about the upcoming versions. These are useful for agencies, merchants, and developers to attend and know what is method on online courses. Freshers need to select courses with basic to advanced coding methods and review title of course and institute to get maximum results. Zuan Education offers online and classroom training on Magento Course in Chennai for freshers and professionals who wants to learn Magento. We also teach the latest version of Magento 2.1. Magento is a famous eCommerce platform in the world and expert Magento developers write blog articles along with statistics and case studies. These blogs are governed by certified developers or companies or online communities to provide deeper insights. There are also many communities and forums that are anytime active and helpful to offer knowledge in Magento. Websites/blogs like MageStore, Practical eCommerce, Inchoo, DLTR serves as excellent resource to enhance your skills, get latest news updates and gain more knowledge in the platform. To enhance your business and performances, you need to use some exciting magento tools and tutorials for e-commerce business. The tutorial explains both text and video of Magento templates that helps to practice and work with Magento CMS. Best Magento tutorials have easy to understand information and even create your own Magento plugins. These tutorials helps to learn Magento coding and some articles are perfect for Magento developers. Magento documentation is a tool for magento developer that serves as a free guide for the code. The official documents permit to know the code of each document and regular practice to to do further modifications. Developers can benefit from a lot of information and include details of every version and editions like community, enterprise, and cloud-based platform. 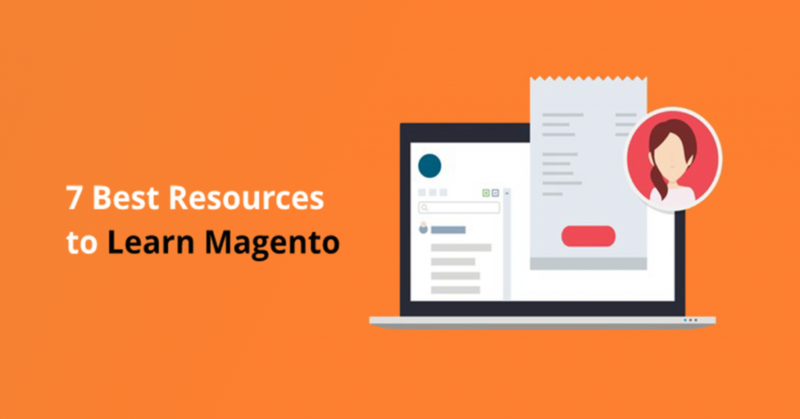 These types of resources are priceless for the beginners and magento developers to get to know about the latest version release, warnings, issues, third party licenses and other notes. Sometimes self-learning for Magento developers are not enough to build their abilities. They get struck at times and they reach out to social media sites and discussion forums for help! Some websites including Reddit, Quora, Answers.com are some of the best places to ask for help and get perfect solutions. Another use of social media platforms is to raise eCommerce website and its branding. Every year conferences are being held in national or international wise that discuss about the roundup of what happened and what’s new. The online and offline communities need to discuss their problems, suggest solutions and look into the case studies of affected retailers to overcome similar challenges. It discusses lot of information and easy to interact with others in the industry to give solutions on managing the store. Since Magento has a wide range of scope and fastest growing market size, it is evident that many job opportunities are blooming. According to studies, there will 100% growth in the Magento Job opportunities. We hope Magento Developers can utilize its features in a useful way and you can learn best Magento resources. Looking to join for a Magento course? WDC offers Magento training in Chennai with latest up-to-date modules on Magento 2. Call +91 9025500600 for more details. This Article is too crazy & informative for reading. I read half article, At this time I am going away to do my breakfast. After having my breakfast coming over again to read the further article.